WELCOME TO OUR WEBSITE !!!! Attention: We have set our 2019 Vacation Dates !!!! Please make a note .... Our facility and all services will be closed September 18th - September 30th, 2019. 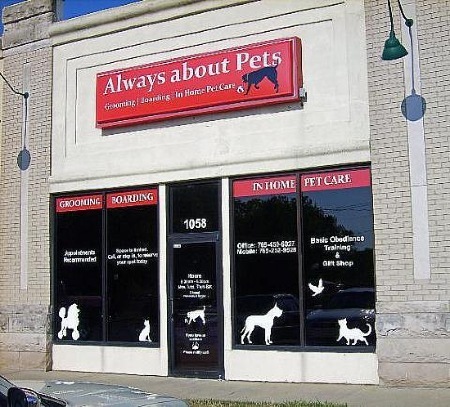 Always About Pets LLC is a Pet Care Facility offering Grooming and Boarding services. We started our business on July 2, 2012 and are proud to say that we are a family owned/operated business. Hope and Charity Hotsinpiller own Always About Pets. We are sisters who grew up in Kokomo and share a great love for pets. Charity heads up our Grooming area. She graduated from a Professional Dog Grooming school in 2011 and has been grooming ever since. She also has 2 years experience in the Canine Training field. Hope runs the Boarding area and does the bookkeeping. "Mom" runs the office. "Dad" , the "Maintenance Man" keeps everything fixed and running smoothly. We also have 3 fantastic staff who help us out. 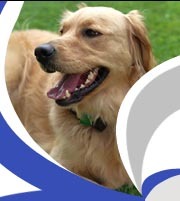 We are 100% committed to our Furry clients and keep their well being and safety as our top priority. We at Always about Pets pride ourselves in offering superior, reliable and personal pet care in our friendly, safe and controlled environment. You can have total peace of mind knowing your pets are being loved and well cared for while you are away. Location: 1058 S. Dixon Rd., Kokomo, IN 46902 .... Next to Don Pancho Villa !!! Please explore our webpage and learn more about us and what we have to offer. You can also find us on Facebook. * We do offer Special PREARRANGED Boarding Pickup / Drop Off times on Sundays, Wednesdays and Holidays.